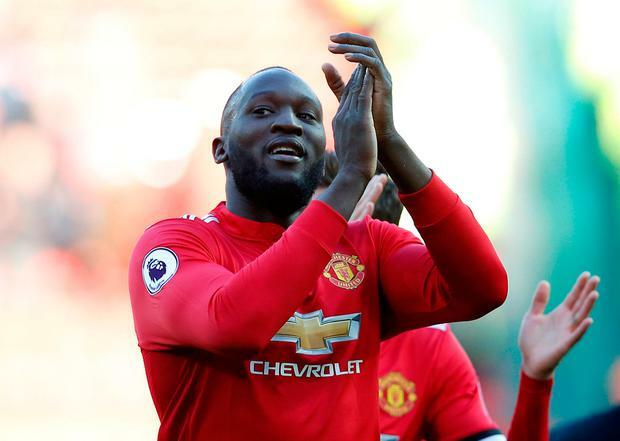 Manchester United legend Paul McGrath has urged Romelu Lukaku to use his match winning performance against Chelsea last Sunday as a blueprint for what is should produce every week. Ireland great McGrath believes Belgian striker Lukaku has all the attributes to be ‘impossible to defend against’ and he hopes his goal and assist in the vital 2-1 win against the Blues last weekend will fuel the striker’s confidence for the final weeks of the season. “He needs to be a bully on the pitch,” McGrath told us. “He is so strong physically and I would like to see him brushing defenders aside a bit more, using the physical attributes he has at his disposal. He should be impossible to defend against, but he can disappear from games at times and that is not what you expect from a top striker. “The trouble for me is that he doesn’t get involved in the physical side of the game enough and if I was defending against him, I’d fancy my chances of knocking him out of his stride early in a game. “It seems to me at times that if things don’t go his way at the start of a match, he doesn’t have the fighting spirit to bounce back and that would be a concern for me. Strikers needs to take knocks and come back with goals and I want to see more of that from Lukaku against the top teams. McGrath also urged United boss Jose Mourinho to hand Marcus Rashford more time on the field, with the young forward failing to start a Premier League game since the St Stephen’s Day clash against Burnley at Old Trafford. “Clearly Rashford is not starting as often as he wants and it must be a nightmare for the kid,” adds McGrath. “Then he will look at Alexis Sanchez coming into United in January and that will push him further down the pecking order. “It is the same for Anthony Martial, who I am a big fan of. Sanchez’s arrival makes it tough for him to get into the United team as they are not too many places left in the attacking positions if the new man starts every game alongside Lukaku. “What I would say is that both Rashford and Martial could benefit from training with Sanchez every day because even if he hasn’t quite hit top form for United yet, this guy is a world class performer and young players can look at what he does and appreciate what is needed to get to the top of the game. 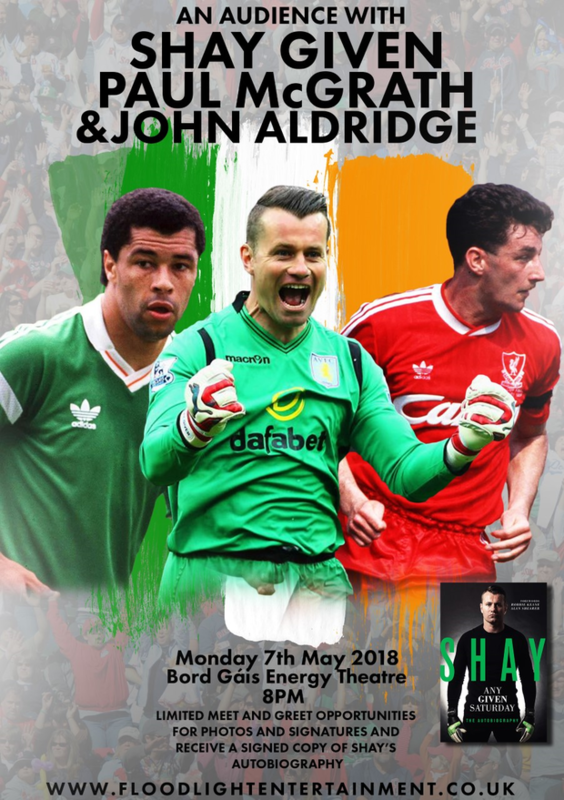 An Evening with Paul McGrath, John Aldridge and Shay Given will look back on 30 years since Ireland’s Euro 88 heroics and celebrate the best moments in Irish soccer at Dublin’s Bord Gáis theatre May 7th. Tickets are on sale now.